Facilitating a simulation exercise is probably a familiar sounding activity for many learning and development professionals. Scenario-based group work is a common component of many recruitment processes, assessment days, development centres and team-building events. But, when your participants are humanitarian practitioners, and your subject area is the serious matter of preparing to provide life-saving humanitarian aid, how you design, deliver and debrief your simulation takes on a new importance. The simulation is the safe space in which people can practise skills and routines that, in the field, can become matters of life and death. I have written elsewhere on the breadth of uses for simulation methodologies in humanitarian capacity building and key considerations in simulation design (see RedR website). In ‘Ready to Role?’ I highlight the importance of debrief and its essential role in moving beyond the exercise itself to reach the desired new state for which the simulation was designed. This led me to think about the voices which a simulation facilitator needs to use, not only to facilitate an effective debrief, but before that to run an effective simulation exercise, and even before that, to design it. Working for a humanitarian capacity-building provider, my role often involves designing simulation exercises for other organisations, including many of the best-known names in aid work, to test their systems and/or their staff and how well these processes or teams work in a moment of crisis. To do this, I rely on the exploring voices. First, inquire, in order to find out more about the client organisation; who is who, what is what, and why they are looking for a simulation at this time. Most importantly, what is it that they want the participants to know, or be able to do, after the simulation – what is our objective? Next, probe. I now want to find out more of the specifics to understand what else might be going on and what has led them to seek my help. Picking up on any clues from the inquiry phase, I will seek to uncover any challenges, complexities or complications in their work which will be important to capture in the simulation exercise. I also want to know more about the participants – what are their roles, how long have they been in those roles, how familiar are they with the system, process or situation we are looking to explore in the exercise, do they know about the exercise, how do they feel about the idea? And then, diagnose. I want to be sure that I understand how things work at this organisation, so I use a combination of questions and hypotheses to start making suggestions for the simulation exercise. This will usually include ideas on the purpose, environment and role dimensions to identify the key task, the context in which the exercise will be set and how participants will engage with both of these. When it comes to running the simulation, the first voice the facilitator should turn to is articulate, to provide the participants with a clear set of instructions. Interestingly, and unlike most other learning methodologies that we use, articulate at this exercise-launching moment can be used to a greater or lesser extent. It is uncommon, in a humanitarian situation, to enter a situation or emergency with a very clear picture of what is happening or even of your own role. We may therefore limit the amount of information provided at the beginning of the exercise, but do endeavour to use articulate to ensure we are providing a clear, neutral introduction. Then, the facilitator could take their communication to a range of places, depending on the nature of the exercise. The facilitator may take on a role during the exercise, or draw on others as actors. In our context, they may represent a member of the affected population (advocating for their needs), a local government official (challenging your presence in their jurisdiction), a technical adviser (advising you on your response), the media (probing you on your activities), a coordinating body (directing you towards agreed standards or commitments) – the list goes on. The facilitator will use injects throughout the exercise. Designed to ease or, more often complicate, the situation, these are often a form of challenge – interrupting the order to point out assumptions and limitations. 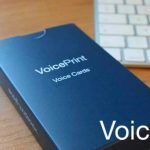 They may also be used as a re-focusing device to clarify certain points, using the articulate voice, or to encourage participants to explore a new avenue through a message delivered in one of the controlling voices. Do I/you/he/she/we know what we’re supposed to do? Does it work? How can it (the individual’s behaviour, or the system/process) be better? How can I apply this learning to my working situation? What systems do we need to improve to ensure this set of actions happen more effectively? The exploring voices are again key. The role of the facilitator is to support the participants to think through the exercise, their own and the team’s performance, and the role and functioning of any structures or processes which were being tested. The two bridging voices, articulate and critique, with their particular objectivity and neutrality, are also essential tools for the facilitator in a simulation debrief. They are used to summarise and evaluate, respectively, the discussion before shifting into the more decisive or conclusive voices with which the facilitator can provide their own input into the debrief, feeding back based on their observations and drawing on their experience. To do this, the facilitator may choose to draw on the challenge voice, to shake up the participants’ thinking, making them aware of gaps or assumptions in their thinking to encourage new perspectives and ideas. Advise, however, is key. 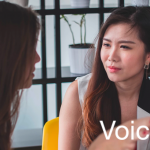 Provided the intention of the facilitator is to support the learning of the individuals and organisation, this voice can be used to provide invaluable insights from the facilitator’s own experience to guide the participants’ ongoing learning. Disaster situations produce a vast array of voices. To operate effectively in a humanitarian response, it is essential to be skilful at hearing and communicating clearly in conditions of pressure and confusion. 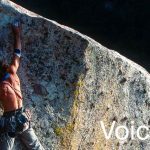 You can expect to hear any and all of the VoicePrint voices during an emergency, so it is unsurprising that we use them all in the course of designing, running and learning from a disaster simulation exercise. 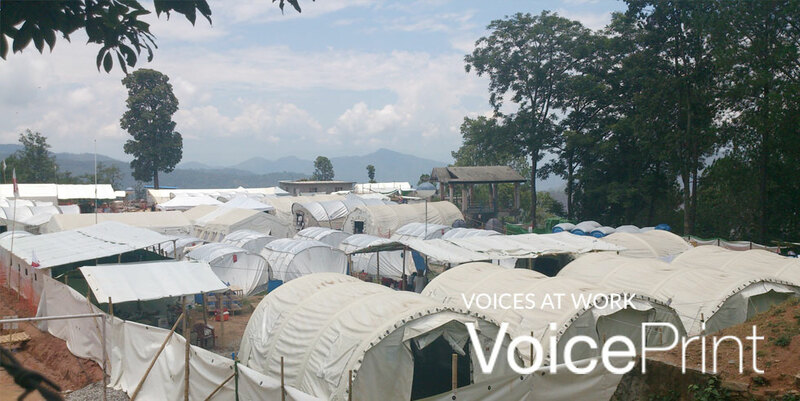 Special thanks for this latest Voices at Work feature go to its contributor, guest author and accredited VoicePrint practitioner, Katie Robertson, an experienced Programme Manager with the humanitarian charity RedR UK, which provides capacity-building training for organisations and individuals working in disaster relief. You can read the paper ‘Ready to Role’ here.